"The end goal for me is and always has been to reach pop stardom." 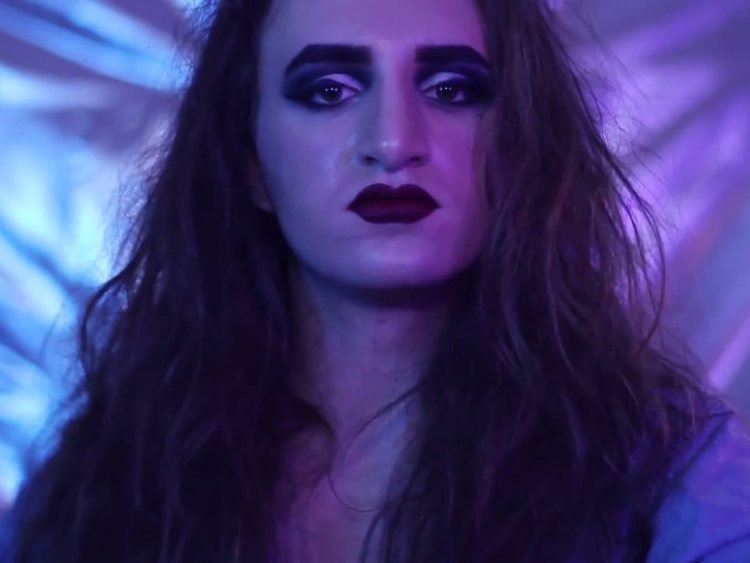 Trans femme rapper Michete shows off his glam-punk pipes in a newly released cover of Dead Or Alive’s 1985 hit, "You Spin Me Round (Like a Record)." In the DIY music video, the queer artist seductively sways in front of a metallic backdrop and sings the chorus, “I want your love,” wearing only a furry white coat. The Shamir collaborator also revealed that fans can expect more pop tracks for his forthcoming mixtape, Cool Tricks 3. "I have a very clear vision of what the tracklist is and what each song will sound like, and I've been writing little things and making little beats here and there," Michete said. "I think it will definitely be more pop-leaning than my previous work, and probably a bit more diverse in sound." Watch Michete’s take on Dead Or Alive, below.